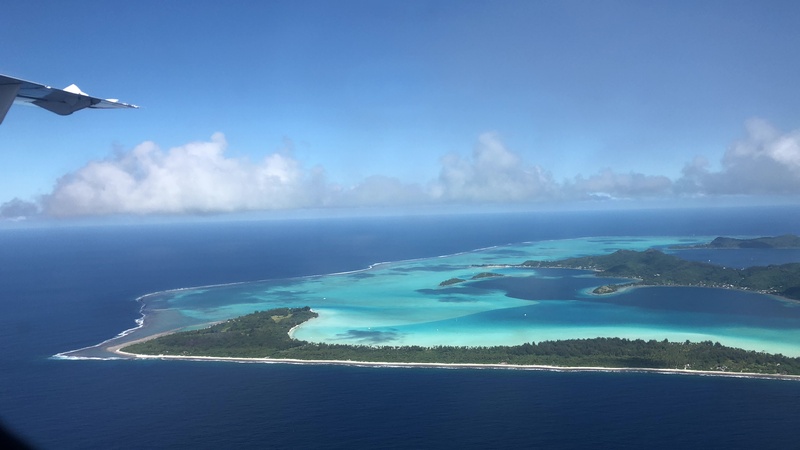 After testing Singapore Airlines Boeing 777-300ER onboard facilities (check the report here) during my vacation I would also like to share my island hopper experience flying from Papeete to Moorea, Bora Bora and Huahine onboard of Air Tahiti’s ATR-72! 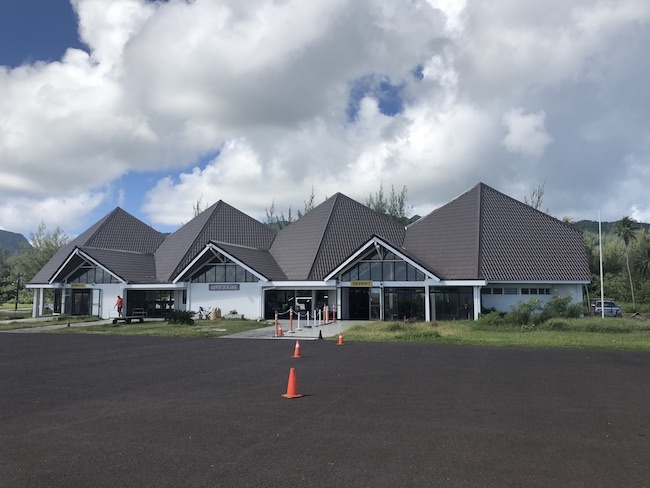 Tahiti-Faa’a Airport is divided by two sectors – one for international flights and another one for domestic flights. The check-in desk for domestic flights is located right after the entrance, just before the security. The check-in and drop-off were done quickly since there was no one in the line. The staff was quite nice as people in French Polynesia tend to be. After going trough the security we headed to the gates. The boarding area of Faa’a Airport is small and not air-conditioned but functional. On the plus side there are ceiling fans and enough room for everybody to sit down. Boarding started at around 10:45 at the Gate 12. After a quick walk to Air Tahiti’s ATR-72 all passengers were boarded and seated at around 10:55. Flight VT298 took off from PPT airport at 11:03 and landed in MOZ approximately 10 minutes later. All flights were operated by Air Tahiti’s ATR-72 (they also have the 42 model in the fleet). The aircrafts were all well-maintained and shared a 2-2 configuration. Considering the flight times the seats were comfortable and spacious enough. Except the flight from Papeete to Moorea, pineapple juice was offered to all passengers. There were soft drinks and snacks available for purchase onboard. No inflight entertainment or on-air connectivity is available. 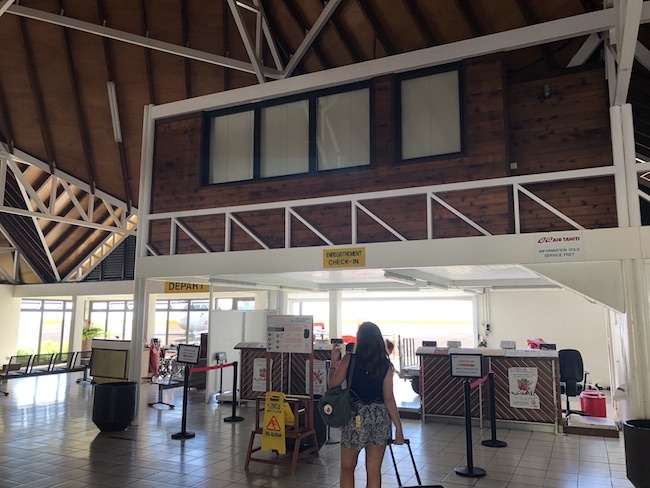 Moorea airport is a typical Polynesian Airport, simple and functional. After entering a check-in desk is situated right in front of you. There are two desks available which seemed more than enough. It took us around 5 minutes to check in and drop off the bags. After checking in we went to the boarding area which is quite similar to PPT airport. Three gates and no air conditioning, but with less seating options. Boarding started at around 8:45 and all passengers were seated and ready to take off around 10 minutes later. Flight VT456 took off from MOZ airport at 09:04 and landed in BOB approximately 1 hour and 20 minutes later, with a quick stop in Raiatea do pick up/drop off passengers. BOB has an interesting particularity – It’s located in a motu, so there is no land connection to the the main island. 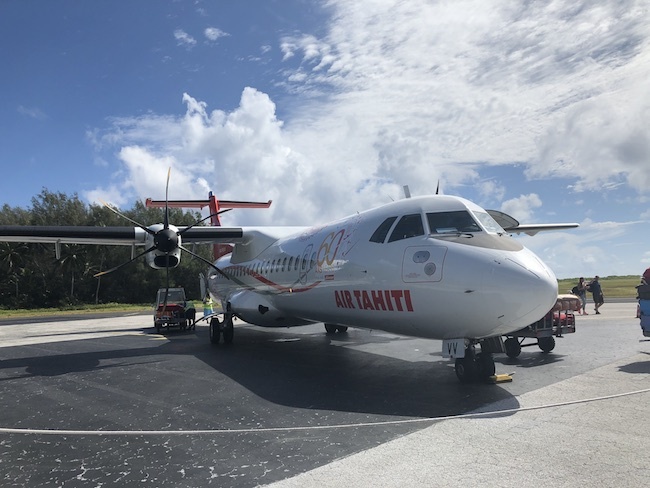 Air Tahiti provides a free boat transfer to all passengers to Vaitape. 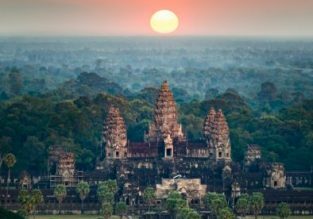 This is an amazing way to have your first contact with this stunning place. 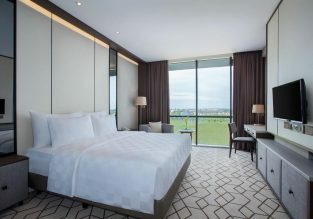 Most of luxury resorts also offer its guests a free direct transfer. 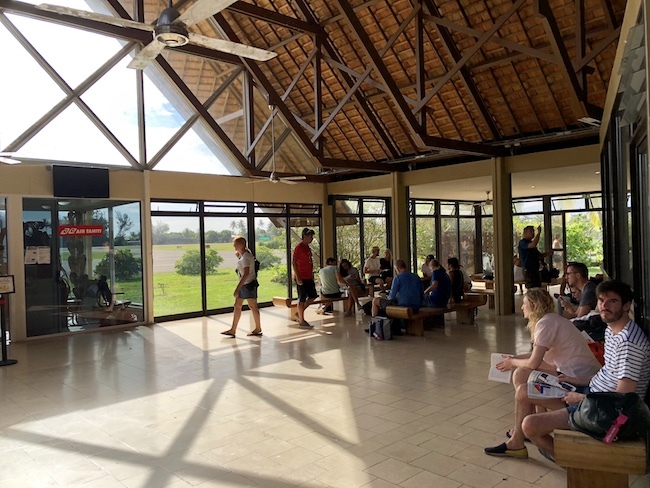 Since most of the guests arrive at the same time, because of a free boat transfer, the check-in in BOB is a bit more chaotic and it takes a little more time comparing with other Polynesian airports. Anyway it took us about 20 minutes to check in and drop the bags. After that we headed to the boarding area. Boarding area is quite small and without many seating options. A small souvenir shop which might come in handy for some last minute gifts. Boarding at gate 1 started at 09:05 and all passengers were seated at around 9:20. Flight VT490 touched down in Huahine at around 10:15 after a quick stop in Raiatea to pick up/drop off passengers. 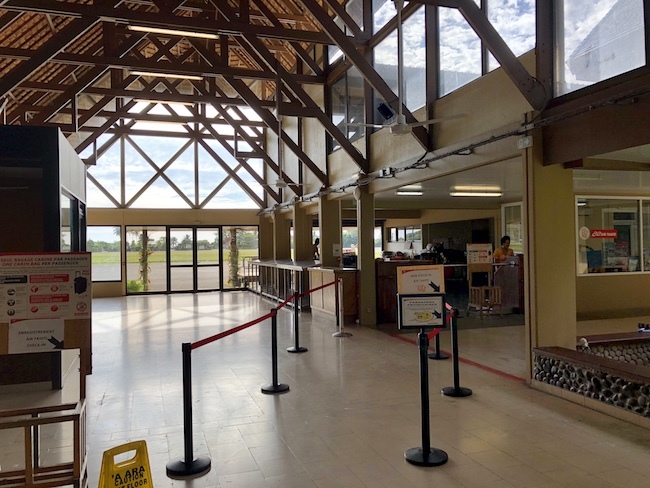 At this time there is no surprise to read that Huahine Airport is very similar to all others. There were 2 desks available in a total of four. Like in previous Polynesian airports check-in and bag drop were done quickly and without any issues. Boarding started at around 15:40. All passengers were seated at around 15:50. Flight VT366 took off from Huahine at around 16:00 landing in PPT 30 minutes later. While not the most luxurious airline, Air Tahiti gets the job done. All flights departed and landed on time or ahead of time, check in, bag drops and pick ups were done without any issues. The crew spoke English, Tahitian (I suppose) and French and were nice and very solicit. The free ferry transfer from BOB to Vaitape is a big plus. And well, the view is almost unbeatable.